There aren’t many employees that would have one of their best nights at the office, and follow it up by ripping into their Employer. Than again not everyone is Al Iaquinta. Iaquinta hasn’t been shy about his frustration with UFC management and their polices. While his love for fighting is still fully intact it’s Iaquinta’s patience around the politics of The UFC that continues to grow thin. This Saturday Al Iaquinta will step back in the octagon when he takes on Jorge Masvidal in the Co Main event at UFC Fight Night 63. 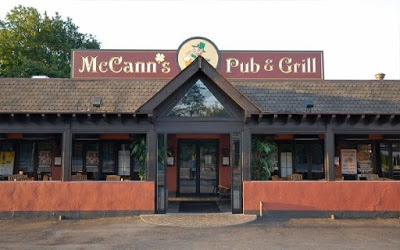 For those of you not making the road trip to Virginia, McCanns Pub and Grill (5590 Merrick Road Massapequa NY) will as always be the number one spot to watch the fight. An important reminder this is a DAYTIME Saturday event. Prelims will start at 11am, with the main card starting at 1pm. McCann’s will be open by 10am sharp for those of you looking to come down, have some food and enjoy the fights. There will be Bud Light and Coors Light pitcher deals while the fights are on. Please feel free to email me with any additional questions at MattPellicane@gmail.com Keep checking in throughout the week for a few articles and interviews.